The 2015 vintage for Bordeaux is a unique year. 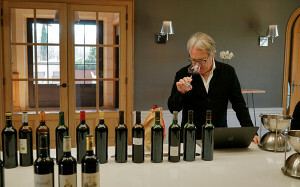 It produced wines with a combination of power and precision, particularly from the Right Bank appellations such as Pomerol and St. Emilion as well as all the others such as Lussac-St.-Emilion and Lalande-de-Pomerol. It definitely seems to be a merlot vintage, where the grape produced the most profound wines with fantastic concentration and richness as well as tannin tension and freshness. Tasting many of the wines is like biting into a freshly picked bunch of grapes with the sweet fruit and tannic skins, not to mention the crunchy and nutty ripe seeds. That’s as pure as it gets with tasting en primeur 2015. “This is the greatest vintage of my career,” explains Stéphane Derenoncourt, the famous consulting enologist who also makes his own wine Domaine de l’A in Castillon Côtes de Bordeaux. He made in 2015 his best wine ever there, like many small producers on the Right Bank. The dry whites are equally persuasive, especially from Pessac-Léognan. They have lots of ripe fruit and density, yet they have a liveliness that gives them an energy and form. Apparently the sweet wines are amazing but I have only tasted a couple so far. The French press is said to have questioned the freshness in the wines of 2015, but I don’t see it. The wines look very toned and pretty at this stage of their evolution. So far, I have tasted about 300 wines from nearly all the key appellations. I have not yet tasted many of the top names from the Médoc, especially the first growths. It’s generally accepted that the harvest was slightly complicated in the northern Médoc in 2015 due to intense rains in the area in mid-September and part of August. This caused a slight dilution in the wines. But most of the Right Bank and Pessac-Léognan had very little, if any, rain. I noted this in my first article about 2015 posted on the site earlier this week. The 2015 could be viewed like 1998, when most of the Right Bank harvested before rains and produced memorable wines while Médoc made very-good-but-not-great wines because of moisture before and during the harvest. I think it is less clear if this is a “split vintage” in 2015, particularly considering some top wines I tasted in the Médoc, but, so far, the Right Bank, Pessac-Léognan and Margaux have made the most exciting wines in 2015. 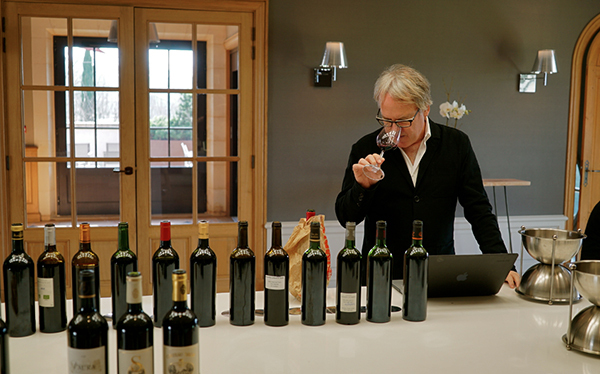 Check out the tasting notes of the 300 wines I tasted so far. There’s a perfect wine as well as numerous wines with extremely high ratings. It’s exciting to find these wines after four years of only good-to-very-good vintages in Bordeaux.